With OLED screens, every single pixel can create its own light and colour, so they can deliver amazing light control and contrast as well as incredible colour and detail precision. However great OLED’s inherent qualities are, it still takes powerful processing and decades of picture know-how to unlock the full potential of this amazing technology. Panasonic’s video processing engine uses huge amounts of direct input from Hollywood creatives, so you can get closer than ever before to the filmmaker’s vision. 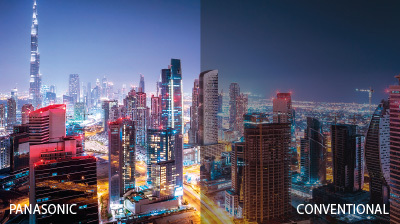 With the 2018 models, you’ll get the new Dynamic Scene Optimiser and automatic brightness enhancement features, so HDR picture will look punchier, vibrant, and more natural. New Panasonic OLED TVs also use an ‘Absolute Black Filter’ to reflect light off your screen, so you can see more detail in dark areas and scenes. You’ll also get more delicate control in ‘near black’ picture, which some OLED TVs struggle with. 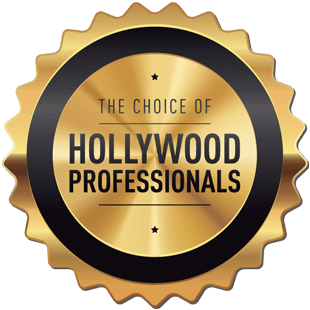 THX was founded by legendary filmmaker George Lucas with the goal of improving the entertainment experience both in the cinema and the living room. Televisions have to pass 400 independent lab tests in 30 testing categories before they can officially be THX 4K Display certified. This set of rigorous standards in picture quality ensure that you experience the filmmaker’s vision exactly as they intended. All Panasonic OLED TVs are THX certified. Turn your TV into a window and see the world. The glass frames around the new FX750 and FX470 create the impression of pictures emerging for a fantastic effect. 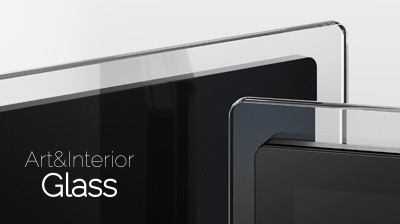 Their frameless 360 design and the elegant minimalist appearance will look stunning in any room. You can become totally immersed in what you’re watching without being distracted by the TV itself. Freeview Play brings live TV, catch-up, and on-demand watching together in one place for your complete convenience. Access shows from BBC iPlayer, ITV Hub, All 4, Demand 5, and UKTV Play straight from the TV guide, as well as 70 standard and 15 HD channels. Best of all, it’s all completely free. If you’re struggling to find something new to watch, the Unique Discovery Bar found in 2018 Panasonic models makes finding new and exciting content easier than ever. 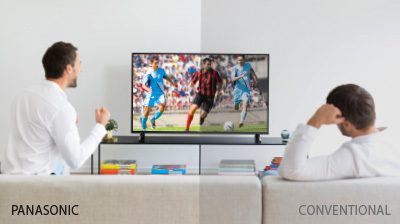 High Dynamic Range TVs can display a much wider range of brightness and colour, which results in punchy, vivid picture that looks closer to real life. 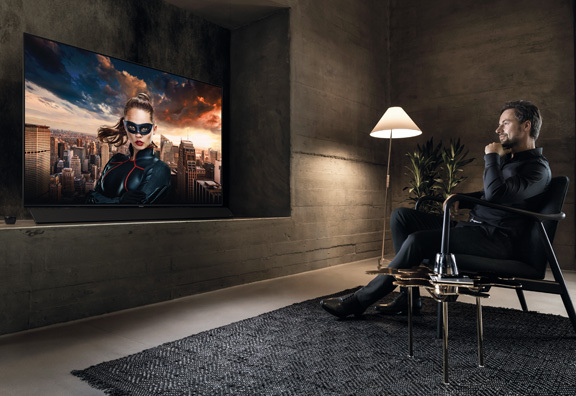 The Panasonic 2018 OLED TVs can now go even brighter, without losing quality and definition in black colours, while their LCD TVs use sophisticated black light controls to deliver HDR’s huge contrast range effectively. 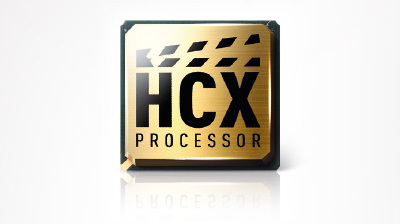 With the Panasonic HCX (Hollywood Cinema Experience) video processor, you’ll get a system that works on colour, black level, and brightness to deliver pictures that get as close as possible to the way they did when they were being mastered. Enhanced reproduction of white improves tonal accuracy in both light and dark areas, and you’ll see better detailing and smoother blends in dark picture areas. To get the best picture quality possible, your TV needs to adapt to the type of content you’re displaying. 2018 Panasonic TV’s include unique Game and Sport picture modes. Game mode helps the TV produce picture faster, and reduce lag for a smoother gaming experience. The sport mode boosts colours and raises contrast levels to make the pitch more life-like and players’ kits more vivid. New ultra-transmissive LCD cells allow the latest Panasonic LED TVs to deliver greater brightness without using significantly more power. With high quality LED backlight technology, you’ll still get the high brightness required for HDR. As a result, Cinema Displays are perfect for playback of HDR content. 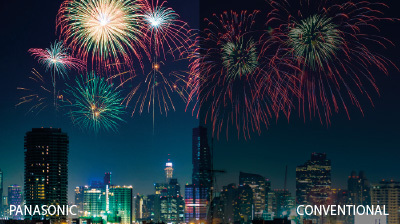 Wide Colour Phosphur technology lets you experience more vibrant and natural colour tones, especially during dark scenes, than you would with a normal LCD screen. It combines LED backlighting with a new colour filter system to delivers stunningly wide colour range. 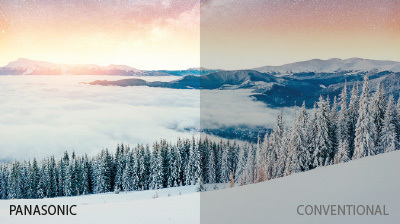 High Dynamic Range picture isn’t just about brightness. They also deliver deeper, richer, more nuanced dark scenes. 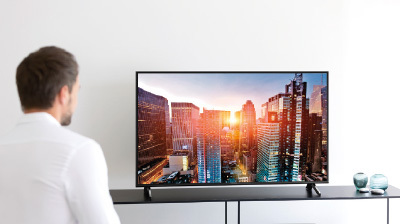 Some of the Panasonic 2018 LCD screens use new Local Dimming Pro backlight technology to ensure both the brightest and darkest parts of the HDR image all look consistently good. Ultra HD 4K Pro HDR televisions featuring THX Certified OLED Display, Studio Colour HCX Processor for superior colour accuracy, Twin Terrestrial & Satellite Tuners and Freeview Play catch-up TV. Ultra HD 4K Pro HDR LED televisions featuring Studio Colour HCX Processor for superior colour accuracy, Twin Terrestrial & Satellite Tuners and Freeview Play catch-up TV. Ultra HD 4K HDR LED televisions featuring Local Dimming backlight for superior contrast, Freeview Play catch-up TV, Switch Design adjustable stands and Netflix, Amazon Video streaming in 4K. Full HD & HD Smart LED televisions featuring Freeview Play catch-up TV and access to Netflix, Amazon Video, YouTube & more.